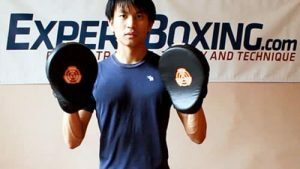 Q: How can I integrate Western style boxing with Muay Thai Boxing (kickboxing)? A: This is a very tough question. I wouldn’t recommend for you to change your stance because Muay Thai stance allows for more powerful kick attacks and effective kick defense. You can however transition to the boxing stance at very close range in the corner if you like. The main tip I can provide only at CLOSE range is for you to lower your hips to the ground giving you more power for your punches. Simply drop your hips on every punch you throw and they will become more powerful. On the inside, you can try lesser used boxing combinations such as 1-2-5-2 (jab-right cross-left uppercut-right cross) and also spend more time stepping to the side and throwing punches at an angle when you see that your opponent is covering up and not able to see you through the guard. One of the best punchers and Muay Thai fighters I’ve seen is Ramon Dekkers. He’s definitely been able to combine effective boxing punches with his Muay Thai fighting. If you want an example, just watch him. I also do Muay Thai and i agree Ramon Dekkers and also Rob Kaman have great boxing technique which they have integrated into there Muay Thai. I think thats why they were so succesfull because there boxing base was so superior to a lot of the other Thai fighters. That was another awesome puncher. Of recent times, I think Mike Zambidis is another great puncher. A Muay Thai/Kick Boxer with good boxing? western boxing is different than muay thai punching . the goals and logic are different . 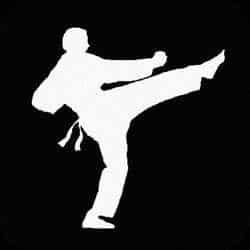 HOWEVER IN THE ABSENCE OF GOOD EXAMPLES OF FOOT WORK I WILL STRONGLY RECOMEND LEARNING WESTERN BOXING MOVEMENT -FOOTWORK ! I HAVE SEEN SO MANY CLUB FOOTED NON MOBLE NON THAI NATIVE FIGHTERS. THE COMPETENCY LEVEL OF MUAY THAI FIGHTERS IS SO LOW!! EVERY BUM GOT A SET OF NYLON SHORTS , LOOK AT ANY DIRT BAG GYM AND EVERY ONE THERE HAS THAI WRITING ON THERE SHORTS..
MIKE ZAMBIDIS IS A KICK BOXER WHO IS COMPAIRABLE TO BOXER ARTURO GOTTIE BECAUSE THE ARE BOTH BRAWLERS .. IF MIXING AND GETTING HIT TO GIVE A SHOT IS GOOD STYLE THEN ZAMBIDIS GETS CREDIT . BACK TO FOOT WORK .. WESTERN BOXING IS A GOOD EXAMPLE OF WHAT IS NEEDED AND CONVERTED TO MUAY THAI.. PRESENTLY MOST MUAY THAI FIGHTERS HAVE POO ON THERE FEET..
EVERY BODY WATCH CLASSIC THAI CHAMPIONSHIP FIGHTS ON GKFROMMTA UTUBE CHANNEL ..
@joe small – GKFROMMTA is an awesome channel! I’ll be studying these. a lot of gym owners and trainers are desperate to have students and that drives them to ignore the importance of foot work .this equates to placating paying member-students. desperate because students feel foot work is boring and not worth the effort and thence over looked and set aside . one could learn some of the power moves of muay thai in 8 months to a year and take care of business, however it takes much more time and effort learning the senior advanced technical moves of the sport of muay thai ..perhaps this is why fighters venture to thailand to train hoping to be in a pure more intence fight camp environment . I agree with you completely, Joe. A sad but sometimes true observation. Yes, Boxing can work with Muay Thai. However you will obvious need to apply some adjustments, such as; Standing more square on (so you can block and deliver kicks, the standard Muay Thai stance as opposed to square stance is more similar to the Boxing stance) focusing more on parrying punches and pivoting rather than ducking, weaving and bobbing (unless up against the rope). I wouldn’t recommend pivoting the front foot side on when firing jabs as that leaves you wide open to be kicked or swept, some fighters do it, but considering how combinations are usually set up in Muay Thai its probably not a good idea. Speaking of combinations, Boxing combinations work nicely in Muay Thai. 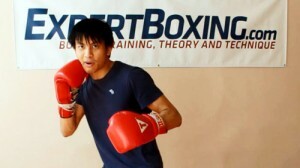 One notable fighter who is a practitioner of both Muay Thai and Boxing is Somrak Sor Khamsing. He won the Olympic gold medal for Boxing in 1996. Pls watch Masato of K-1. Impressive hands. Awesome fighter! He beat some solid names, too. there are a number of muay thai fighters who switched between western boxing and muay thai . 2) Vorapool , the death face !! both boxing and muay thai . 5) kongtalee payakaroon , samarts older brother boxing some and mostly muay thai . i forget who fought tommy hearns a muay thai fighter gone boxer !! ** mostly boxing but started im muay thai KOW SAI GALAXIY the little big guy .. I think it is hard for muay thai fighter to used boxing footwork, as MT fighter need to kick and knee, but seriously boxing combination punches are excellent to combine with muay thai kick and knee. in western boxing with the twisting of the feet to generate torque and power is not good for MUAY THAI . in muay thai you will loose the oppertunity to kick immediatly after a punch if you twist..
re read : loose the ability to kick if you twist like a western boxer !!! My training is strictly in Muay Thai and I was taught to twist my feet when punching, mainly because you use a very similar foot twist with elbows and even kicks. My trainer was a very traditional Muay Thai fighter. I’ve been cross training in boxing and Muay Thai for 5 years now, and there is a large portion of boxing that translates very well. Johnny, your methods are very compatible, especially for practitioners of Dutch style Muay Thai. If someone’s doing purely traditional, they’re probably not perusing boxing sites anyway. * Slipping to the outside is dangerous if you’re predictable because your opponent can set up a head kick. Use minimal weave and keep that outside hand up high against your head in case – it’ll still ring your bell, but with one hand in you’ll survive. More inside slips will keep him guessing and less likely to get you with this. * When in the forward axis, you have to really practice the quick weight shift necessary to check leg kicks. Forward axis stance really helps you to hide teeps under your straight punches. * When dropping down for a stomach punch, it’s important to use all legs, leaving your body straight so you don’t eat a knee if your opponent times you. Johnny’s technique is solid; the Joe Frazier bend at the waist is a death wish waiting to happen. * Shoulder rolls work well against head kicks as well as punches. My sparring partner and I have thrown up many a last minute shoulder to deflect a surprise head kick. * Johnny’s drowning style is absolutely effective across the board! Thanks for the input. I’m sure this will help clear up things for many people. Thank YOU, Johnny; your site has helped me grow so much! You have an ability to break things down to the component level that is unique. It really has helped me to internalize techniques and make them my own. I do my best, OG! 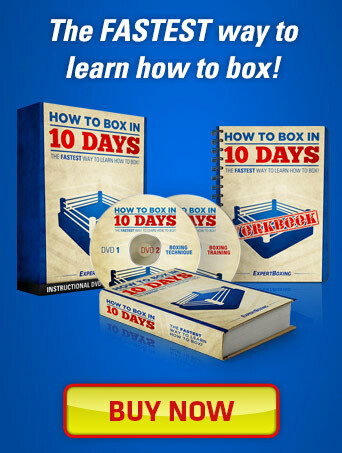 When you get more experienced, make sure you check out my “Advanced Boxing Workshop”. I’m you’ll really enjoy how I break things down in that one. isn’t anderson silva a good example? I am a Muay Thai practitioner, but I also take boxing, and I incorporate boxing techniques into my Muay Thai because I feel that Muay Thai punches are flawed such as their jab, they don’t slightly raise their shoulders so if they deliver a jab, their chins are so exposed. One more thing is their evading and slipping. I feel stiff when using Muay Thai evasion techniques…… It’s like they’re just STANDING there in one spot swaying and evading, unlike boxing wherein you evade while in constant MOTION. Anyways, I sometimes use BOXING ONLY method towards my sparring partner when we spar in Muay Thai. It means that I just use my fists for sparring, and I heavily rely on bobbing, weaving, ducking, slipping, and continuously moving like a mouse. I actually had a new perspective when I just used Boxing when sparring in Muay Thai. I thought that Muay Thai techniques are superior since it has kicks and if I get in, they can scare and crush me with knees, but in reality, it doesn’t really work out that way (although sometimes it does but not as much). I can still bob and weave and slip and block and evade a hard kick without even giving a lot of effort and still dominate with overhands and rush-in 1-1-2’s. However, I’ve only tried this on 7 non-professional taller opponents with a long Muay Thai background. It was successful though I ate shots too. The thing is, can I still use ONLY boxing in a fight with kicks and knees? Can I still maintain this style and technique that only rely on punches and witty slipping? What do you think, Sir Johnny? You should definitely ask someone with experience in kicking, Coco. I’ve never tried boxing in a muay thai environment before. I also train in both Muay Thai and Western Boxing with Boxing more as a asset for my MT. My gym offers courses in both and there are several guys who train in one regularly and go to the other once in a while. In my opinion a solid boxing base (at least) should be the basis for any guy who wants to compete in MT. But naturally if you solely train Muay Thai and divide e.g. something like 3 training sessions ranging one and a half hour a week into boxing, clinching, elbows, knees, kicks, conditioning and sparring the development of decent boxing skills is a hard achieved feat. I saw a lot of amateurs seaming glued to the ground, stiff movements, always power punching, hands down, chin up and so on. Fighting those guys while being able to exploit those weaknesses with comparatively superior boxing skills is a great thing and can give you the edge in a lot of bouts. Contrariwise I saw some boxers (partly competing amateurs with up to >40 bouts) struggling with front kicks and especially the thai clinch. Both can disrupt the flow of a boxer significantly. The front kick as the kick with the longest reach can keep the other guy at bay and be pretty annoying and a well executed clinch can dissolve nearly any attempt at infighting and if you rely mainly on your infight boxing skills clinching can be extremely frustrating. In my humble opinion keeping reach is harder then overcoming it and so it is easier to clinch and set up knees and elbows then trying to outbox your opponent all the time. Note it is harder and not impossible or anything. Fighting with K-1 rules one the other hand (No Elbows and disengaging after one knee) can get you pretty far with fighting mainly with punches and an occasional kick and knee at the end of a combination. Boxing defense works in sparring only because you cant take advantage of muay thai’s strengths(powerful strikes). knees in clinch… means you need to know at least how to defend. your opponent is bound to catch you if you are only punching. undefended knees in fight means broken ribs fast(real fast). for many blocks and throws from clinch you need to use legs. Wide stance leave you vulnerable to leg kick with distance and angle of attack. Elbows are typically in too tight with boxing stance. Make it hard to catch kicks. If youre not doing proper muay thai movement a thai boxer can easy kick your arms in until you cant keep your hands up. after learning that teep beats jab, they rush in because they think theyll have better luck on the inside. once there they learn knee beats hook. then stance changes, leg defense develops, etc. @Coco, while i agree some of the Thai’s are not the best boxers out there, Im not sure i can agree with you under full muay thai rules to be able to do the heavy boxing bobs and weave’s. Maybe can get away with that in the K-1, Glory rules type set but differ on that in the lupinee ring set. Thank you…. Can you please provide more on how to counter Muay thai with boxing…. I do muay thai but i cant throw good kicks,,,, thats the problem…..
I’ve never done Muay Thai so I don’t have any comments on that. I think you’ll have to ask someone else. Also, boxers tend to bob and weave low and that can leave you open for a knee or kick to the face. With that said, boxing an MT is a great combination. lets talk about clinch entries and applications and there relation to Greco roman stand up clinch. all that hand fighting done to gain superior control and the grip of the neck !! have many of you done extensive boxing clinch and the definite related neck and body manipulations ? Kenny Weldon has an excellent dvd lesson on utube that teaches many advanced boxing clinch techniques, that all muay thai practioners should be aware of . study Anderson silva clinch and notice that most of his moves are very Greco clinch related. this should be know to all and studied ..
it is most surprising that silva`s clinch escapes are so obviously Greco hand fighting related..
we should talk up weather one should do Greco or thai hand fighting ? is there much difference ? is the difference worth noting. I particularly like mixed grip collars with good head grinding to pleasure my opponent . single over hooks coming in with extra hard clubbing is another big favorite of mine . real clinch moves are serious business . this is only the beginning . Great advice! I think western boxing can really be a huge benefit to kickboxers. I think samart payakaroon (thai) would be a good person to study for integrating western boxing into muay thai since he was a world champion in both. I also think Giorgio Petrosyan has solid boxing. Great videos (and great fighters). Thanks for sharing, Alexander! Any one doing pummeling and hand fighting during there entries into clinch ? any one hand fighting into elbow attacks ? any one know the differance between a gash elbow and a full on knock out elbow attack-what is the differance in deployment of the elbow ? who does hub- lub elbows ? can any one make the hum lub and panatuakan moves work real time in muay thai ? is it good to where elbow pads and head gear for practicing full force elbow attacks and defence ? Yes, boxing needs to be trained separately to muay Thai as the boxing training in Thai boxing is usually very simple. 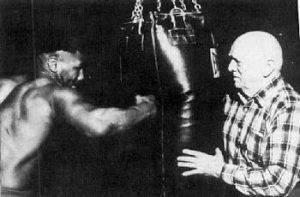 A fighter needs to learn boxing from a western boxing coach and then adapt it or take what he needs from it into a muay Thai fight. Dirty Boxing and Greco pummeling and hand fighting are almost one and the same . These sciences are an absolut necessity however neglected by the fake teachers . To those who dont know of either its a great loss . Because thats where the differance comes from ! Everything in amature western boxing is no good in real muay thai. Amatrure boxing is excessivly restrictive compaired to muay thai style hitting ..
Amature boxing is a very poor substitute and replacement for real thai fight- hand and arm fighting. As good as western boxing is on foot work . In the Thai fight world after a few loosing rounds of taking extra heavy leg kicks comming onto your thighs i doubt if you are going to be dancing around all that much. What i am talking about is not beginners concepts. These concepts start arriving after one heavy year of real training . Or five years of different varities of fluff – may be ..
muay thai clinch throws ? can you pummel and hand fight like a greco roman wrestler ? g-r is much like thai clinch entries… you must accept and beleave this . there are about five different allowed and used methods of throws from clinch . 1)first group is over hook– plaaam. single or double collar ties. 3)mixed grip . i have called half love vs body lock full love . 4) ***half over collar and other hand on bicept – c-grip-some will call this meat hook-swand grip . cobra grip.!!! this is the most desirable grip because you can stear or move into elbow and more. you must learn to pummel and hand fight -TRANSITION OUT OF THESE GRIPS. slow and light weight pressure -grippings..
if you cant find a partner to practice with lift weights . bumbells and kettle weights- non-stop for five minute sets..
GRECO clinch aids every thing about muay thai clinch..
lets talk about CLINCH throws . 1 ) there is a knee bump lead in to pull type throw- this is like the one bukow does. this is for a fast nimble fighter only. learn about push pull hand action for throws.VERY EXPLOSIVE. 3) twist throw -mostly from body lock .LEG POSITIONING MATTERS . drop – but has a knee entry .. THIS IS JUST STARTERS FOR FULL ON THAI CLINCH THROWS . MUAY THAI CLINCH THROWS IS NOT . NO WAY EVER ** BENDING DOWN & LEG GRABBING ! JUDO IS NO -NO GOOD FOR MUAY THAI CLINCH THROWS ! lets talk about holly holm v rhonda rousey . i noticed that it was holly`s modified clinch that allowed and gave her the best postion to executed chain moves. holly single collers ties and head clashed the opposite side on entry, doing this instantly is very good. with out and hesitation forarm feels and decides to go INTO HARD SNAP DOWN – AND then push them away. nice set up for an high inplace left leg kick to the going down ward opponent …..
dont beleave me watch the moves coming up to the head kick . check the arm actions . holly did the same set up in another fight on utube.. excellent . holly additionally is a boxing champ ..she has fast reflexes and perfect distance and timing. now everybody go watch rhonda lose to holly holm .